Tuscany has always been synonymous with a touch of class and Tuscan holidays have tended to be enjoyed by those fond of art, good food and history. However, Tuscany covers such a wide range of activities that it is unfair to pigeonhole it to one type of holiday. There are a number of fantastic reasons to visit, but this article will focus on what the region’s much vaunted countryside has to offer. One of the most common expressions used when describing the Tuscan countryside is ‘rolling hills.’ It is typical to wake up to a layer of fog on the hills, which clears up later in the day to give perfect views of the valleys. For this reason, the countryside is one of the most popular areas among those planning holidays in Tuscany. The Tuscan countryside offers a lot to holidaymakers, with the possibility of discovering the area by bike. A short break here is the perfect way to relax and rediscover nature. You may also reignite a passion for something more difficult to do at home, which leads us into the next reason people opt to visit rural Tuscany. Tuscany is famed for its cuisine, and a trip to the countryside is the perfect place to discover why. The gastronomy in the region tends to be fresh and uses ingredients grown in the local area, even including the world famous truffles, which are in season in autumn. There are many different Tuscany tours on offer, such as cookery courses, which promise to teach you how to use the local produce. However, the most popular excursion in the area is to visit the vineyards which give off a lovely aroma all over Tuscany. As Tuscany is famous for Chianti, a day trip to one of the vineyards is a must for wine lovers. Wine tours can help you discover a passion for wine, as well inform you about the history of the area and what is the best way to drink it. This mix of fun and learning is why visiting a vineyard is amongst the most popular tours of Tuscany. 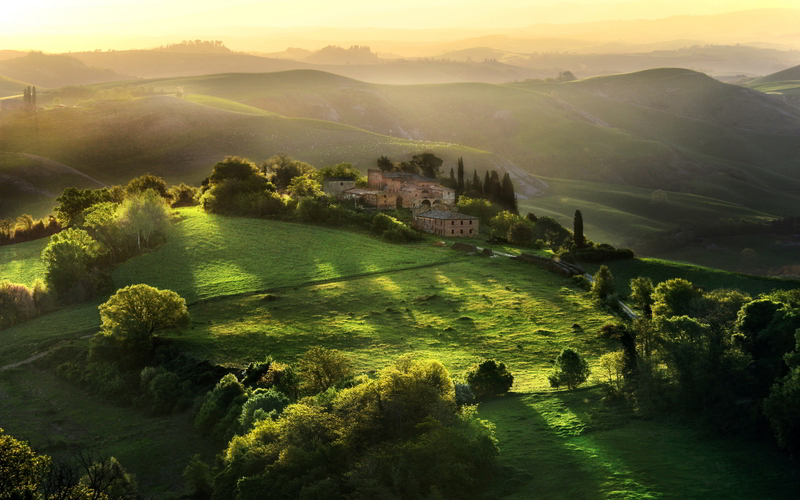 Amazing photo, the Tuscan countryside looks so charming in many ways !